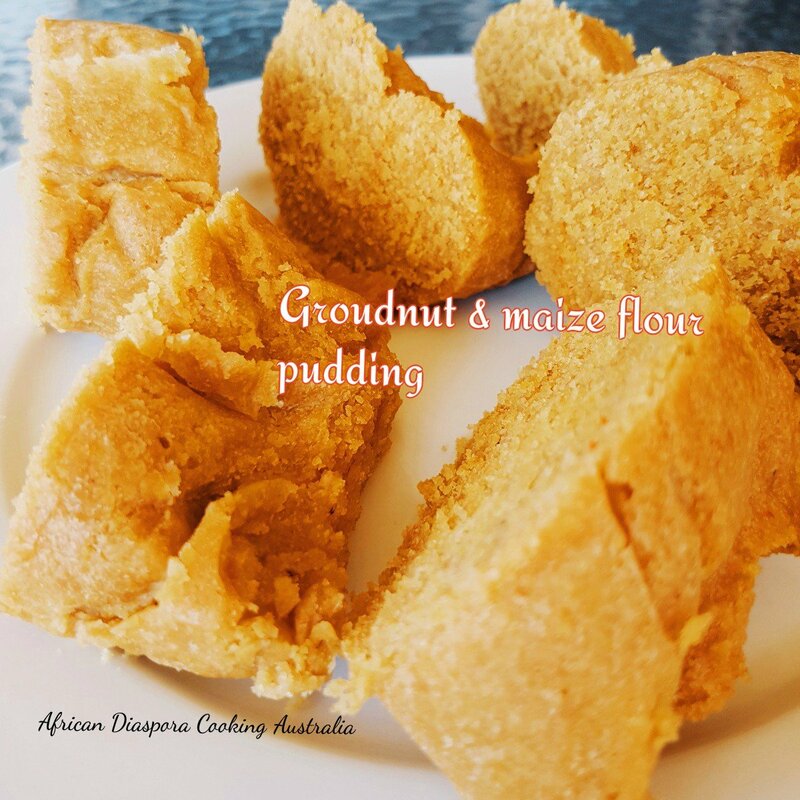 Groundnut paste and fufu pudding is a Cameroonian steam pudding made with with fried peanuts and maize flour, crayfish salt and stock cubes to give it that added taste. It can be eaten alone as a snack. Enjoy and dont forget ro subscribe. In a frying pan, place groundnuts or peanuts and fry until fully roasted .You can bake in the oven if you wish. Or you can use can groundnut paste . Its up to you. Place hot fried groundnut in a tray and let it cold down. In a blender , place crayfish white/ black pepper and blend properly then mix with groundnut paste and add some salt to taste and 1.5 cup of water. Tie in a warmed banana leave or an aluminium foil pepper. Steam in a steamer or potb for 45 mins to one hour. Allow to cold down for 10 mins before you serve.